Riddick: Rule the Dark, formerly known as Riddick only, has released a new international poster posted over Vin Diesel's Facebook page. Not does it only give a new look on the movie, but it also confirmed a title change, which as far as I am concerned did not really outweigh the former. Richard B. Riddick is back on this third installment in The Chronicles of Riddick directed and written for screen by David Twohy. The movie also stars Karl Urban as Lord Siberius Vaako, Katee Sackhoff as Dahl and Jordi Mollà as Santana among many others. Checkout this new Riddick: Rule the Dark international poster. 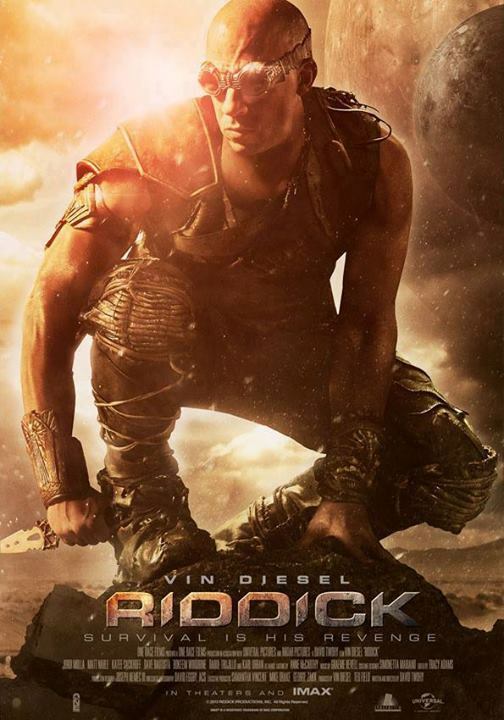 Riddick: Rule the Dark will hit cinemas on September 6, 2013.